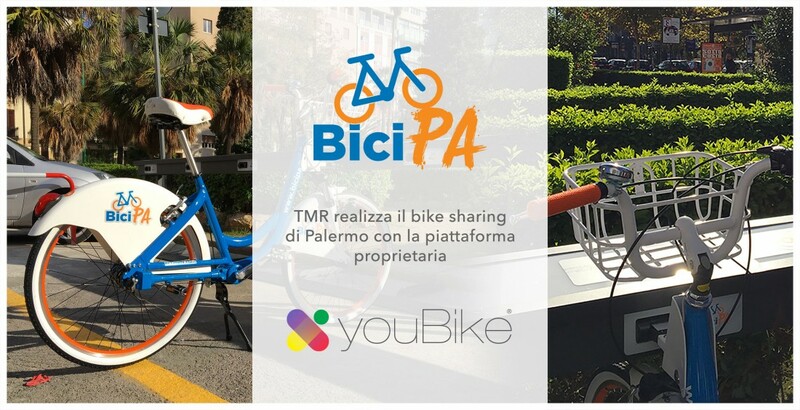 TMR is proud to announce that since the 15th of December 2016, Palermo has been provided with its efficient bike-sharing system, made up by 37 stations and 420 bikes. Every station is equipped with security cameras, photovoltaic technologies, and all of devices to take and return bikes. The system is also provided with an efficient monitoring system and a mobile app that the customers can use to check the service status and the informations about their accounts. Bike-sharing is an innovative and eco-friendly system that helps to decrease cities pollution and promote the healthy life style. For more informations, you can visit the Amat offices placed in Giusti Road, Palermo.